Sr. Director, Healthcare Informatics at Human Longevity, Inc.
Frank joined Human Longevity, Inc. in 2016 as a thought leader and SME to support human genome research-based product development for life insurance and HC industry. Frank was the executive director of enterprise analytics at HCSC – a five states BCBS health plan, where he led the advanced analytics to support value-based program evaluation and care management optimization. Before joining HCSC. 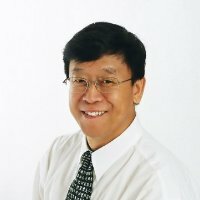 Dr. Song was the director of advanced analytics at BCBSLA and responsible for the selection and development of analytical methodologies for the company, supporting medical management, network administration, provider reimbursement, opportunity mining for business development, vendor review and evaluation, and program ROI analysis.